I’ll get to the comics in a little while. 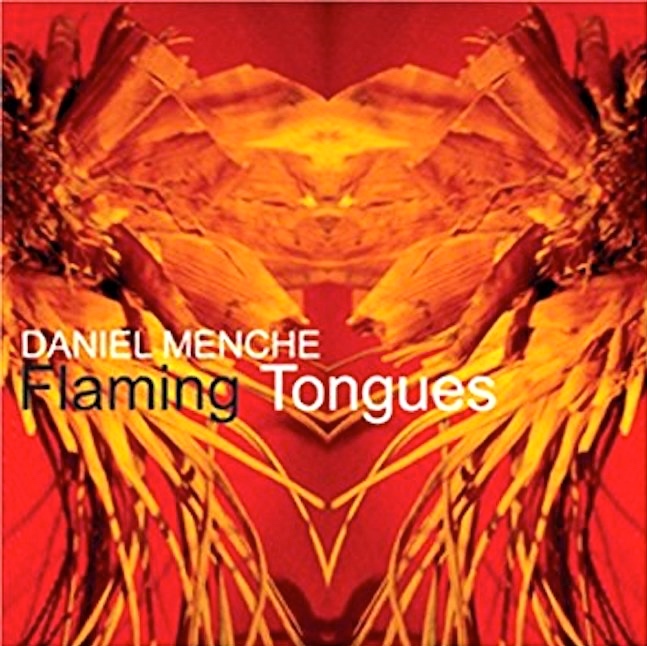 But first, a digression on flaming tongues: in music, in the plant world, and in mansex. “Come Thou Fount of Every Blessing” is a Christian hymn written by the 18th century pastor and hymnist Robert Robinson. Robert Robinson penned the words at age 22 in the year 1757. It’s been set to a number of different tunes; some discussion in my 12/23/11 posting “Come Thou Fount”. OBH: rhododendron. In #5, a spelling problem. Nick, the kids’ grandfather, identifies a plant as a rhododendron, not a rose, but when his neighbor challenges him to spell the name, he decides that it’s a rose after all. Rhododendron (from Ancient Greek ῥόδον rhódon “rose” and δένδρον déndron “tree”) is a genus of 1,024 species of woody plants in the heath family (Ericaceae), either evergreen or deciduous, and found mainly in Asia, although it is also widespread throughout the Southern Highlands of the Appalachian Mountains of North America. It is the national flower of Nepal. Most species have brightly coloured flowers which bloom from late winter through to early summer. Azaleas make up two subgenera of Rhododendron. 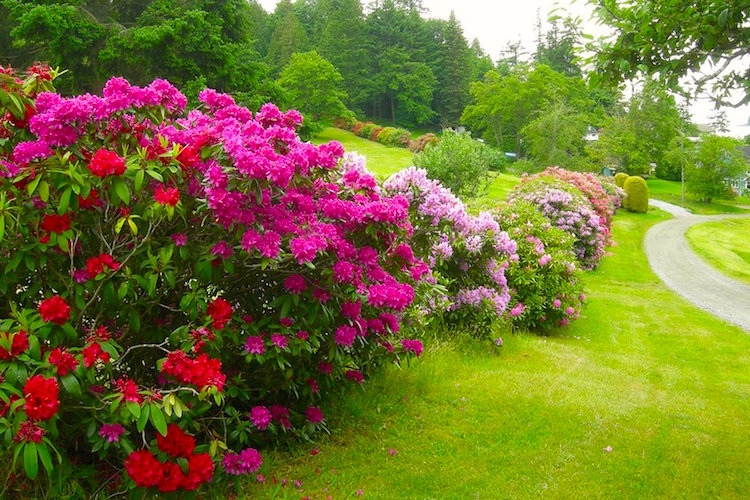 They are distinguished from “true” rhododendrons by having only five anthers per flower. Here in Palo Alto the rhododendrons are almost finished blooming. Etymological note: it’s a nice twist that the first element in the name rhododendron is in fact the Greek for ‘rose’. Bonus: in another nice twist, my friend Ned Deily affects not to distinguish any flowers, identifying them all as roses, so for him rhododendrons are indeed kinds of roses. verb hold: North American informal refrain from adding or using (something, typically an item of food or drink): a strawberry margarita, but hold the tequila. This use of hold is pretty much restricted to the BSE form of the verb: in the imperative (as in the dictionary example); in to-infinitivals (I wanted them to hold the tequila); in unmarked infinitivals, as in complements to modals (I’ll hold the tequila, sir); or in forms identical to the BSE, in particular the PRS, as in Whenever the customer asks, I hold the tequila. Other forms are at best odd: ?The waitress held the tequila (cf. What the waitress did was hold the tequila). (which is a perfect rhyme for some, but only a half-rhyme for those who have a high unaccented vowel in the final syllable of lettuce, but a lower one in upset us). Burger King came out with a slogan of Have It Your Way in 1974. This slogan summed up its difference with its rival McDonald’s. The slogan fits well with the emphasis in pop culture and on individuality. The line makes total sense at a time when self-expression and mass customization are critical elements of culture. 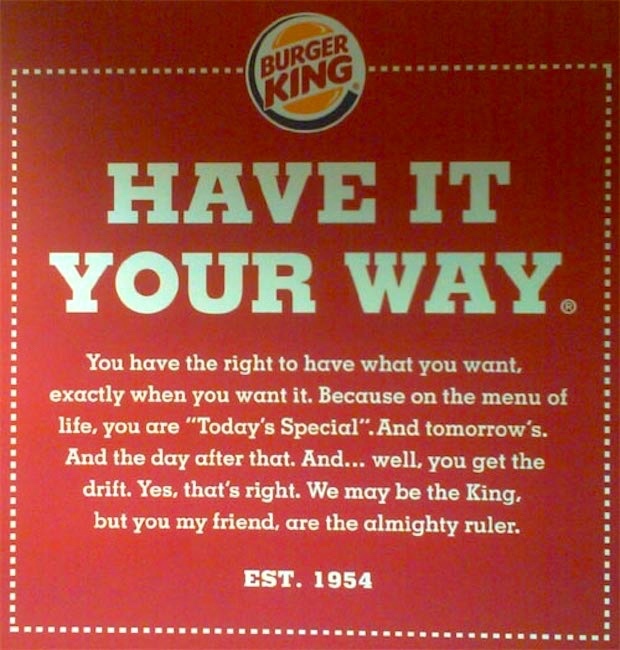 Burger King abandoned the slogan four years later in favor of forgettable themes such as Best Darn Burger (1978), Burger King Town (1986), and The Whopper Says (2001). The company, thirty years later, however realized that the retro culture is in and had gone into a back-to-future mode in its advertising. It returned to Have It Your Way in 2004 in TV ads from Crispin Porter + Borgusky, its former agency. Research indicated Have It Your Way was still the theme that most resonated despite other campaigns. When you have an ad campaign that is sticky, it is foolish to go against said Russ Klein, the global marketing officer of Burger King. That’s the reason they returned to their earlier slogan. Here’s a jingle that Burger King produced and used in the 70s in response to McDonald’s Big Mac song. The jingle has been modified several times and reused it. The lyrics proclaimed that Burger King would serve you a customized product (you can have whatever toppings you wanted on a burger, or even plain) living up to its slogan Have It Your Way. Zits: blurting out the truth. About #7. Jeremy is given to saying out loud (to his parents) what he’s actually thinking, rather than what he realizes his parents want to hear. So his words are sometimes unfortunate. Back on May 22nd, I posted (in “Prepositions matter”) about one such incident, in which Jeremy announces that he’s going off to study Sara, then corrects that to to study with Sara. In #7, he blurts out about beer pong, then hastily alters that to the innocent ping pong. xkcd: state words. 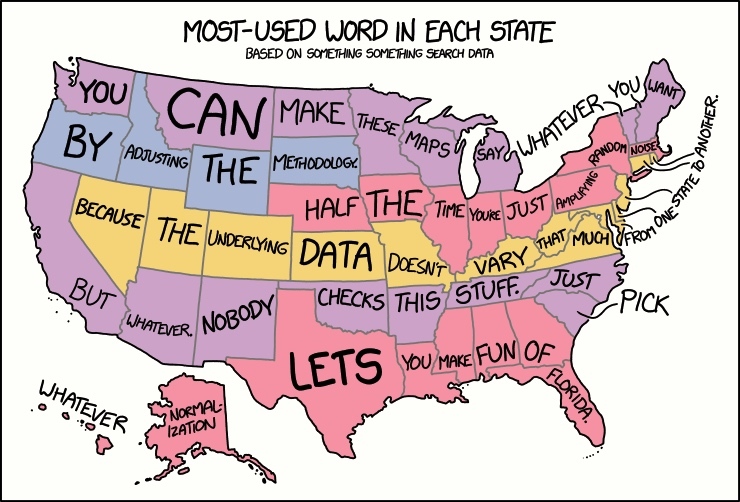 Finally, #8 has an xkcd (#1845) State Word Map, in which Randall Munroe mocks US maps based on some purported survey about the favored custom (often, word usage) in each state. Nobody checks this stuff out, so map-makers are pretty much free to make things up. In the map in #8, my natal state (Pennsylvania) gets the word amplifying (as in amplifying random noise), my immediate-past state (Ohio) gets just, and my current state (California) gets little but. The word but came down to California in a flaming cloud? This entry was posted on June 7, 2017 at 6:12 am and is filed under Gender and sexuality, Idioms, Inflection, Language and plants, Language and religion, Language of advertising, Linguistics in the comics, Morphology, Music, Names, Rhyme, Spelling. You can follow any responses to this entry through the RSS 2.0 feed. You can leave a response, or trackback from your own site. 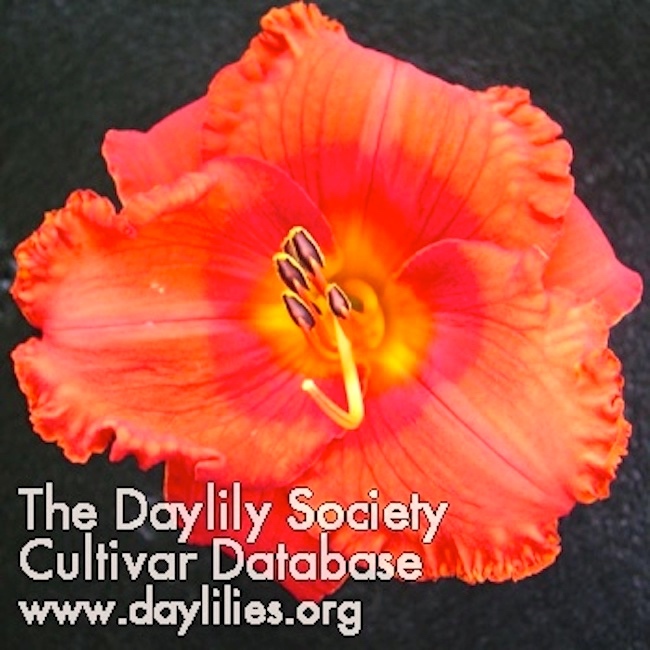 When I saw “botanical tongues” I expected there would be something about Salpiglossis (“painted tongue”).